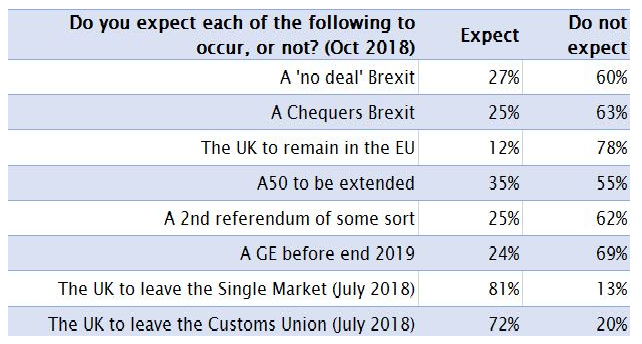 Interesting survey and analysis leading to the conclusion that a no-deal Brexit is inevitable given the known voting intentions of MPs and their spread throughout the political parties. 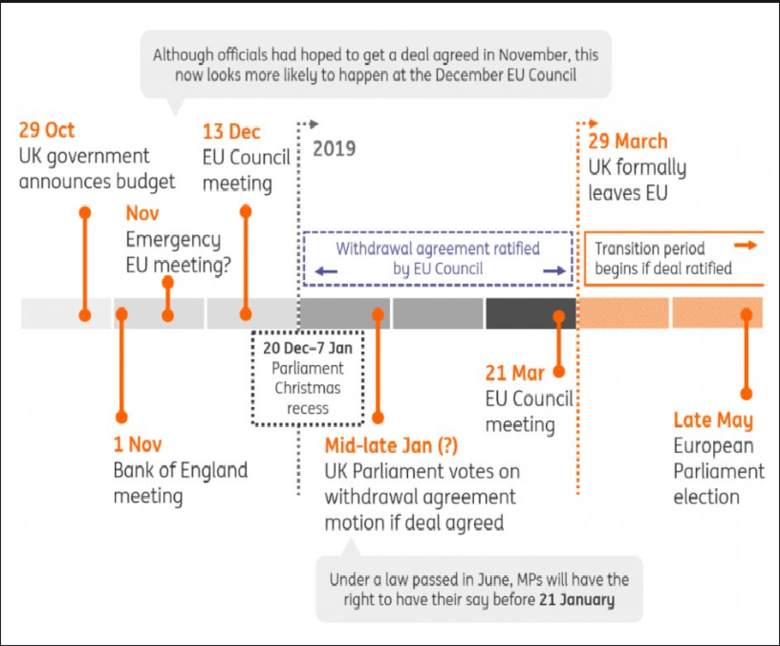 From an investment and trading perspective, I think an interested yet key question is what asset class to shift capital into or out of should a no-deal Brexit materialise? Updated Brexit timetable *now with added hurdles*. GBP remains at the mercy of every decision and announcement as there is a degree of pricing in of every potential scenario meaning that as various scenarios are scratched and others become more likely GBP positions will be adjusted. Good simplified summary of the Brexit process going forward starting with the cabinet meeting today 2 pm. Interesting article including a poll on MP's expectations re, Brexit. . So more resignations from the UK cabinet and GBP falls but so does EUR and AUD so is it more than just Brexit? Probably not for GBP at this point. I wonder what could give GBP a boost to lift it back into retrace? PMs resignation..? I wonder if this is a case of outwardly showing support whilst behind closed doors brokering a deal with BoJo? The end of May is nigh, what then? 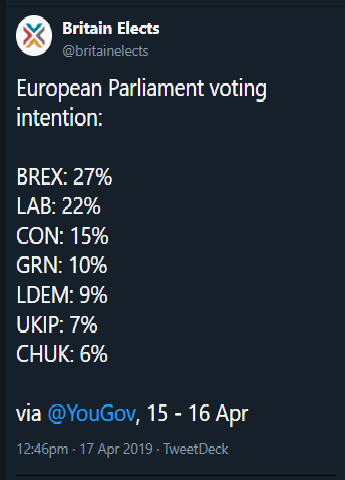 At least in the UK parliamentary system it doesn't trigger an election. This is the strongest form of Democracy in my opinion. I wonder whether a change would be seen as a positive thing, at least temporarily? A BoJo Premiership means a hard-line stance to EU exit, and quite likely a no deal exit given the time-frames. I bet you this would be a Black Swan for the Eurocrats! Lots of chatter on twitter that the number of rebels is sufficient to call for a vote of no confidence. The nightmare scenario then would be if May survives it she gets another 12 months in office before another vote can be called. 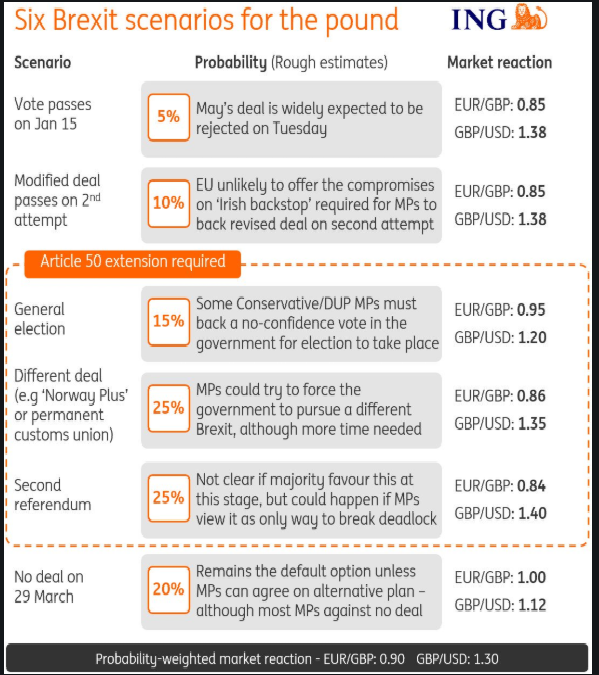 Possible affect on eurgbp and gbpusd of the different scenarios possible on the 'deal' vote today and beyond (from ING). Morning all. Just to remind everyone the parliamentary debate is scheduled to end at 1900 GMT with a vote taking place shortly afterwards (although some delay is likely). Be mindful of potentially increased volatility, changes to guaranteed stop levels, underlying market spreads etc. Happy trading. big day today fellas. Those options vol strategies are going to be expensive. 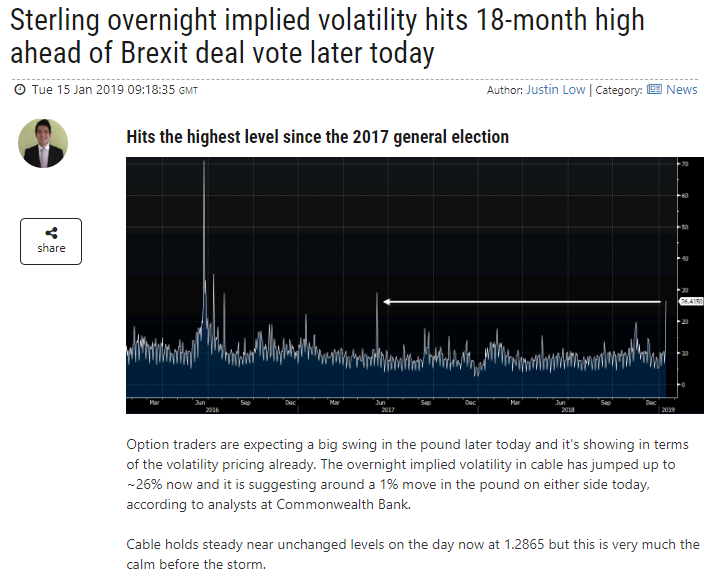 The result on the Brexit vote will be known after U.K. time 7:00 pm so It will be interesting to see how the major indices around the world react and in particular the U.K., Europe and US. Also how prices for safe haven assets and bonds react. 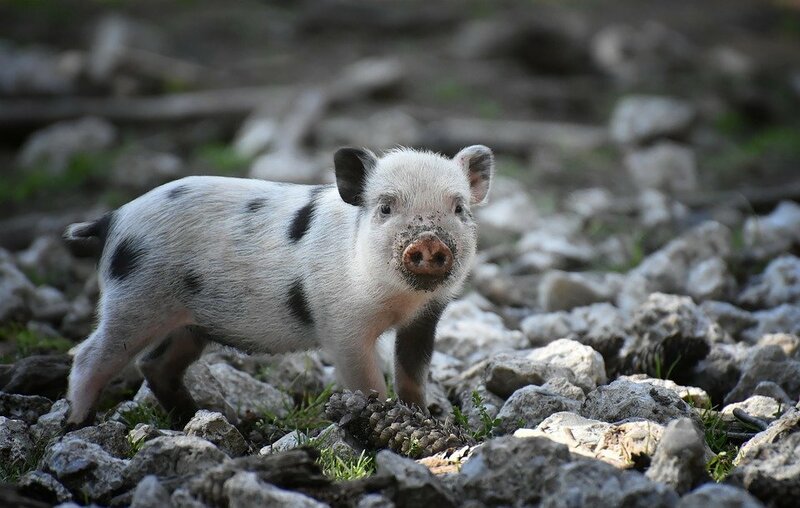 If we are to see world stock markets decline and I don’t know if they will then the smart money will start allocating capital to Bonds and Gold. If they already have even a small exposure to Bonds and Gold then they will be increasing their exposure to such asset classes within their portfolios in my opinion. As always I will let the price action confirm or reject my assumptions. Assumption testing can be very valuable even if your assumptions are rejected when modelling any trading strategy and carrying out any forward testing. 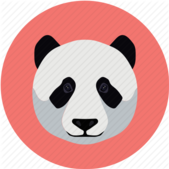 A lot of people give significance to back testing their trading strategies but I think it is extremely important to include forward testing as well before letting your trading strategy loose! So this is the run down, courtesy of Reuters. question - why the hell are the Labs making this all about internal domestic politics and a power grab. Just work together FFS and do whats best for the country you bunch of mungaloidic-toss-pots. BBC report on what a no-deal Brexit with WTO rules on trade would look like. Feb 4th. Fantastic broadcast in my opinion. French seemed to be really commited / pissed or maybe you call it passionate. Both seemed to have a solid opinion which made for fantastic viewing. Would recommend to all on community to listen to the whole thing. Enjoyed this lively balanced debate on Brexit and deal or no-deal, lots of points covered and very interesting. The only thing I would add, looking back to when the UK left the commonwealth to join the EU there was no deal. It meant a couple of tough years for Australia and New Zealand but they have never looked back since. It was the making of those two countries and I suspect the UK will see similar benefits from independence from the EU. And interesting viewpoint. 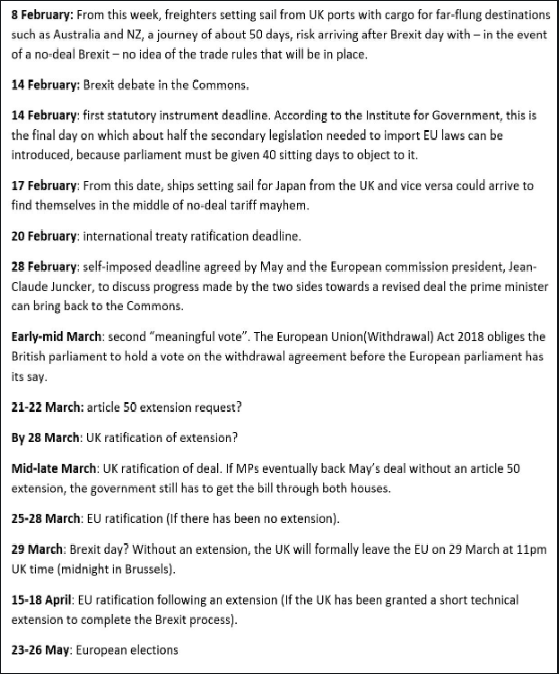 House of Commons debate this week is unlikely to resolve anything so it looks at current trajectories the ‘no deal’ (which our man thinks is a non sensical sentence and very possibly t is) is more on the cards. and this. People quick to point the finger at BBC coverage for this swing.